Local growers, bakers, culinary specialists and artisans fill this charming historical freight house. Reminiscent of European markets, it's alive with vendors, people and activity during market hours. Sat., 8 AM-3 PM, Jun.-Oct.
Free parking, including ADA-accessible parking, is available near the 2nd Street Market building on the street and in a paved lot. Free, paved overflow parking is available in the nearby lot for The Steam Plant, 617 E. Third St. Call (937) 228-2088 for more details. Multiple ADA-accessible restrooms are available within the Market. Multiple ADA-accessible drinking fountains are available within the Market. Thursdays through Saturdays, it’s hard to beat the all the local options at the 2nd Street Market. Visit one of the delectable eateries, where you will find anything from European pastries to the good ole’ sandwich. The Market is just steps (or a 5-minute bike ride) from the center of downtown Dayton, or if you prefer to drive, there is plenty of free parking! Vendors offer a variety of dishes, including fresh salads featuring local and organic ingredients, seasonally rotating soups, Colombian specialties such as arepas and empanadas, tasty South-Slavic and Mediterranean cuisine such as gyros and shish kebabs, pad thai and spicy curry dishes, savory French crepes and so much more. Take Route 11 north on Main Street through downtown to First and Webster streets. Walk south (right) one block on Webster Street to the Market. The Market is easily accessible by foot or bike from neighborhoods in and around downtown Dayton. The Market includes a Link bike share station and ample bike parking. Take advantage of free wireless internet access provided by DataYard. The 2nd Street Market building has three accessible ramps, with parking spaces by both ramps on Second Street, as well as ADA restrooms. Food growers/producers, bakers, dry goods vendors and food-service vendors are available each week. People come for the freshness, the quality and the relationship with the local growers. The Market is a favorite place for many Miami Valley residents to go year-round for locally grown meat and produce. The 2nd Street Market operates in an historical block-long former 1911 B&O railroad building. It was renovated in 2001 by Five Rivers MetroParks to help support growing and buying locally produced goods. Five Rivers MetroParks is proud to help support growing and buying locally produced goods. The 2nd Street Market strives to promote sustainable, local food systems in order to shrink the ecological footprint of Montgomery County. Join us for your weekly shopping, or just do lunch. Find unique handmade items, chocolates, pastries and freshly baked breads, pies and more! More than 50 vendors offer a unique selection of items from delicious lunch options to fresh vegetables, meats and eggs, artisan breads, cheeses, flowers, bottles of wine, delectable sweets and even home decor! Browse the list below to see information about each vendor. Committed to delivering local, high quality and wholesome meat products. Carroll Creek Farms is a small family farm that raises 100% grass-fed beef and lamb, all-natural Berkshire hogs and pastured poultry. Our meat products are produced locally in Warren County without the use of antibiotics or growth hormones and have access to pasture their entire life. This provides ultra fresh and wholesome food to share with your family! Consider the Lilies has been making and designing wreaths since 2000. In 2011, they started farming an acre of flowers. They love to grow and arrange flowers for local people – fresh is best! Follow them on Facebook. Corner Hill Farm uses current technologies and growing methods to produce the safest most nutrient dense food possible, while protecting the land and environment. We NEVER use chemicals! Located in New Vienna Ohio, our food is grown in the soil on an old horse pasture, where the microbial life is thriving, soil is holding water, and the crops love it! On our farm, making maple syrup is the winter crop in February and March. Sales continue throughout the year at the Market, our farm and several festivals in the area. We started making pure maple syrup in 1983, as a hobby, using buckets and a wood fire to boil down the sugar sap from the maple trees. Now the operation has grown to a year-round business using modern methods and equipment to ensure a deliciously sweet, pure, syrup. We never add anything to the syrup; it is all from the trees. FreshStart Farm is a small, pasture-based dairy farm located nearby Jackson Center, OH. We milk Jersey cows, famous for their rich, creamy and delicious milk. We bottle all of our own milk in returnable glass bottles. We also produce yogurt, cheese and cheese curds. Growing a diverse variety of produce to nourish, educate, and inspire the minds, bodies, and souls of our community! 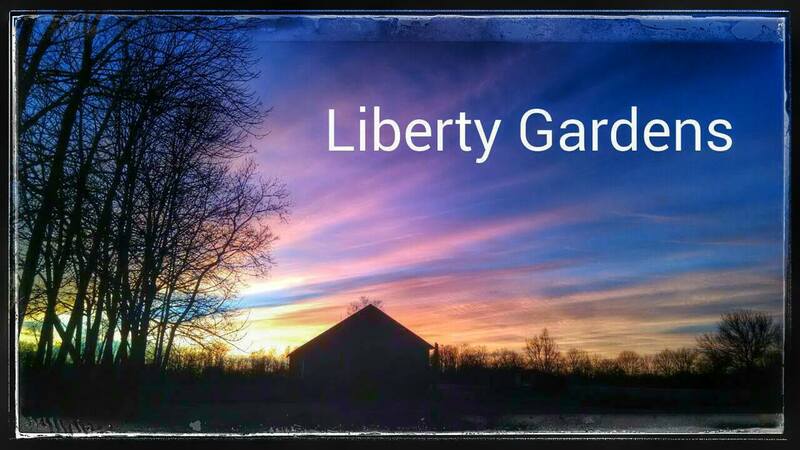 Founded in 2015, Frisezell Liberty Gardens LLC is located on a historic 1870’s farm in New Lebanon OH, family owned since 1969, and specializes in extensive produce and herb varieties grown from heirloom and hybrid GMO free seed in chemical free gardens. Considered the grandfather of the market by many, Garber grows most of what he sells, including tomatoes, sweet corn, yellow squash and more. Garber Farm also offers baked goods, jams, flowers and plants. Grower of pesticide, herbicide free fruits, berries and vegetables. Free range brown egg hens producing hormone and chemical free eggs. Local produce from a 100-year-old orchard! We have owned and operated our orchard for 25 years. The orchard itself is more than 100 years old and is based in Greenville, OH. In the last five years we also have started growing produce. Working to end homelessness by providing housing, services, advocacy and education. Through their social enterprise, Homefull Solutions, Homefull provides skill-building, job training and employment opportunities. 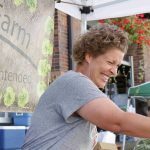 Their micro-farm and hoop house allow them to grow fresh and local produce which is then made available to the public. 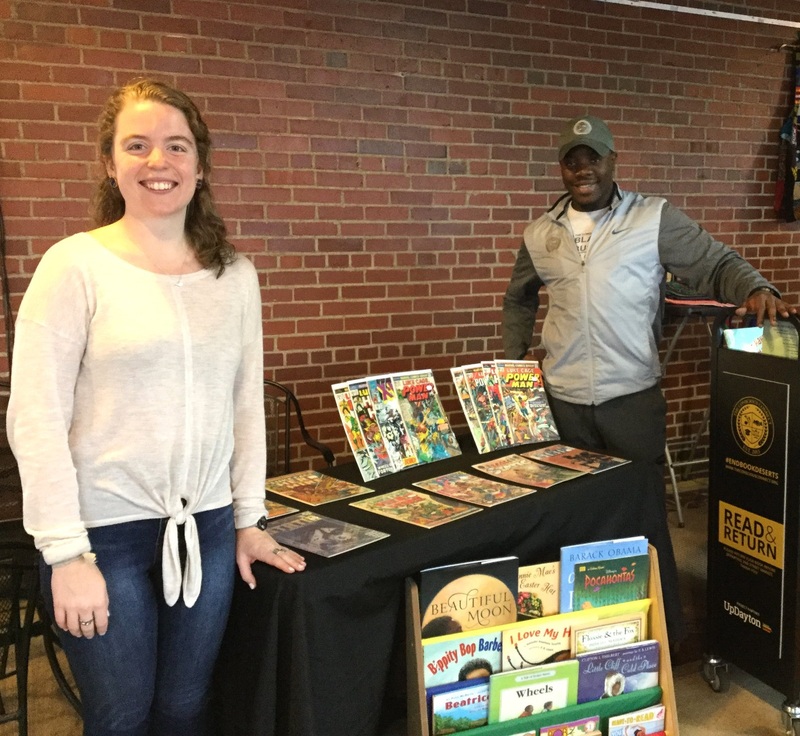 Homefull manages the 2nd Street Market’s SNAP Exchange Center. Find them on Facebook! We’re known for our honey, maple syrup, sorghum, and we stock fruit and vegetables in season. Locally grown hydroponic vegetables, including greens, spinach and tomatoes. Also sells eggs and cider seasonally. Hydro Growers imports mushrooms from Pennsylvania and fruit from Michigan. KJB Farm is a family farm located in Miami County. We specialize in farm-raised pork, chicken, lamb and eggs. Emily and Ben Jackle apprenticed on farms in Montana, Illinois and Hawaii before establishing their farm, which is certified organic through the Ohio Ecological Food and Farm Association. Learn more by following Mile Creek Farm on Facebook or Twitter. 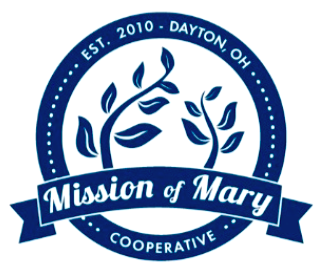 Mission of Mary has operated numerous urban farming plots in Dayton since 2010. By growing food directly in urban neighborhoods we aim to increase fruit and veggie availability for our neighbors and to encourage others to garden through our educational programing. We operate a seasonal CSA program, neighborhood farm stands, community volunteering, and garden educational tours. For more info visit us on the web, Facebook, or Instagram. Organic gourmet chicken patties — many varieties! Tea Hills Farms sells gourmet chicken patties using fresh local Amish-raised chickens (always antibiotic free), fresh locally sourced produce, organic seasonings and quality cheese. Many varieties of gourmet chicken patties are offered, including apple, buffalo style with blue cheese, butter garlic, country, Greek with feta cheese, Herbes de Provence, portabella pesto with fresh mozzarella and seasonally, tomato basil with fresh mozzarella. The Tea Hills family farm has been in operation for three generations. It has been chemical free since 1993 and the pastures have been certified organic since 2000. Bellbrook Chocolate Shoppe is a family owned and operated business that has been making handmade confections for over 30 years. Its specialty is a blend of chocolate that you can get only at the family’s shop, including creams, caramels, fudge, buckeyes and Aunt Laura’s shortbread cookies. Also try the hand-dipped pretzels, graham crackers and cookies! Big Sky Bread is excited to be offering you the freshest-tasting American and European breads available. All of our breads, cookies, muffins and rolls are baked fresh daily, using only the best ingredients, featuring Montana whole wheat flour. With a few exceptions, our breads contain no preservatives, no processed sugars, added fats, oils or cholesterol. Our customers say it’s the best-tasting bread under the sky. We hope you enjoy our products as much as we enjoy baking them for you. Follow us on Facebook! You have a chance to experience one of the best desserts in the United Sates! But don’t take our word for it. Ann was named “Best Pie by the Slice” by Midwest Living magazine in 2009! Ann has been featured on local television programs. Desserts by Ann K. offers homemade pies (10-inch fruit and cream pies, 6-inch mini-pies), cupcakes, pound cake by the slice, brownies and more! Many items are sold a la carte, but orders can be placed ahead of time; so you can reserve and pick up your favorite pie for any special occasion. Advance orders recommended around the holidays; order forms are available at the Market. Ann has more than 15 different pies to select from, and many pies are available sugar-free. Desserts include homemade pies (10-inch fruit and cream pies, 6-inch mini-pies), cupcakes, pound cake by the slice, brownies, and more! Special items such as birthday or wedding cakes can be baked upon request. See how fast you get to the bottom of the popcorn bag! Festival Fresh is a family owned business specializing in kettle and caramel popcorn. After trying different recipes, we’ve been told again and again that our kettle corn has the perfect blend of sweet and salty. We invite you to come try our popcorn. Follow us on Facebook! Amish-made food products – try the jams! Maria’s Unique Foods offers Amish-made food products such as jams, no-sugar-added jams, fruit butters, premium wine jellies, natural syrups, cobbler and pie fillings, a variety of salsas, Amish Country Popcorn, a variety of pickled foods, relishes, mustards and Jump’s Peanuts. Most of our products are made by Amish and Mennonite families in Ohio and other states when we can’t get the product in Ohio. We offer a large amount of products every day that customers haven’t seen before. Papi Joe’s Tennessee Pepper Sauce, Papi-Q Tart N Tangy BBQ Sauce, and Papi’s Sassy Bloody Mary Mix. Pepper enthusiasts Joe (Papi Joe) and Kay Paul of Rossville, TN have built a hot business around a homegrown product. 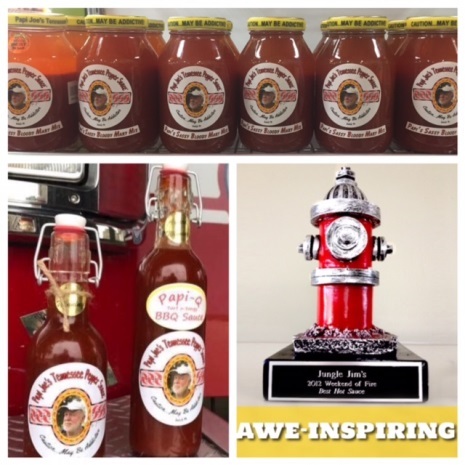 “I strive to make the very best natural sauce by using the fines ingredients available. I grow the highest quality organic Tabasco Peppers. It is my philosophy that a finished product is only as good as the ingredients… that is my guarantee to you. We are fortunate to have our own country kitchen where Papi’s is slow cooked, in small batches, in open kettles. I know nobody can make a better sauce than Papi Joe’s Tennessee Pepper Sauce.” Find us on Facebook. Rahn Keucher is the founder of Rahn’s Artisan Breads, a bakery that sells loaves directly to customers from the retail booth at the 2nd Street Market at Webster and East Second Street in downtown Dayton. Rahn’s sells bread to various local restaurants and hospitals, as well. Spices, flours (including-gluten free flours), nuts, seeds, jarred goods, cheeses, snacks, legumes and much more! Spice Rack & Bulk Foods offers fresh, inexpensive and unique cooking ingredients for the cooking, baking and grilling enthusiast. Follow us on Facebook! Sweet P’s Handcrafted Ice Pops sells dairy-based, water-based, banana-based and Paleo-style ice pops based on Mexican paletas. Year-round flavors: Sensational Strawberry, Good Morning Grapefruit, Coffee Latte, Cookies & Cream. Hundreds of rotating flavors. Ever-changing seasonal menu with pops made from whatever fruits, vegetables and herbs are available. Follow us on Facebook! Taste-T-Love’s mission is to make homemade, natural, preservative-free baby food available and convenient to moms and babies. All their food is made with organic ingredients. The Olive Tree offers a variety of specialty and flavor-infused olive oils and balsamic vinegars. All of our products are naturally flavored, with no artificial ingredients of any kind. Our olive oils originate from Morocco and are cold-pressed extra-virgin. We offer seven flavors including: Roasted Garlic, Rosemary, Truffle, Persian Lime, Jalapeno, Blood Orange and Sundried Tomato & Parmesan. We also offer a specialty traditional unflavored olive oil imported from Spain. Our balsamic vinegars originate from Modena, Italy, and are aged 12-18 years. We offer eight flavors including: Chili, Chocolate, Raspberry, Cinnamon Pear, Fig, Traditional, Coconut and White Strawberry Peach. We offer free tastings of all of our products, which allows you to enjoy the variety of flavors and choose your favorites with confidence. Follow us on Facebook! Homemade soups, sandwiches and quiche. Daily specials! All Souped Up offers a variety of seasonally rotating soups, croissant sandwiches, fresh salads, muffins and breads, healthy kid-friendly meals and assorted soft drinks. We use other Market vendors in preparation of our quality homemade products. Azra’s Mediterranean Cuisine offers Geek salad, gyros, moussaka and spinach pie, Italian/Croat stuffed grape leaves, Bosnian sarma (cabbage rolls), Hungarian chicken paprikas, South-Slavic goulash and Moroccan shish kebab. Follow us on Facebook! Fair trade, shade grown organic coffees. Available in espresso drinks, brewed coffees and coffee beans by the pound (whole or ground). Organic herbal teas, brewed or bulk by the ounce. Monin flavored syrups for coffee, tea and more! The individual meat pie is popular in New Zealand/Australia but novel in the United States! Cheeky Meat Pies sells New Zealand/Australian cuisine: steak and cheese pie, steak and mushroom pie, mince and cheese pie, chicken and mushroom pie, a variety of other combinations of meat pies, side dishes and more. Follow us on Facebook and Twitter! The Chef Case is a professional, chef-driven, prepared foods deli case. Items are sold by the pound in pint, half-quart and 2-pint sizes. Chef Joe Fish features ingredients from local farmers and highlights the bounty of bean and grain alternatives available at the 2nd Street Market. The Chef Case focuses on local, organic, free range, hormone-free products. Items sold at The Chef Case are always all natural, prepared by Chef Joe Fish and/or his professional pastry chef, Jen Herrera. The Chef Case focuses on sustainable food service solutions, including actively recycling and composting. The Chef Case offers breakfast Paninis and you may sample any deli salad on the side! The Chef Case opened at the Market in early September 2010. For more information about Chef Joe Fish, visit: www.chefjoefish.com. You can also follow us on Facebook. Crepe Boheme sells classic ham & cheese crepe (scrambled eggs optional), The Amazing Turkey Crepe (with grapes, walnuts & cream sauce), Salmon in White and Pink Coat Crepe, crepe with sweet potatoes, carrots and raisins in a creamy sauce, dessert crepe with Nutella & banana, dessert crepe dulce de leche crepe (caramel). Invoke™ offers New Modern American Cuisine that is locally and seasonally prepared. Try an excellent Crispy Chicken and Sweet Potato Waffle and a side of Cayenne Yogurt, or creamy Eggs Benedict atop a fluffy Chive Biscuit. Lester and Larry listen to their growing vegan and vegetarian community with an Eggplant Bacon • Lettuce • Tomato and new Carrot Dog with Romesco. Excite your senses with a fresh baked Chocolate Chip Cookie and indulge in the Cashew “Cheez” Cake. Born in Dayton, Lester and Larry are a small part of the rich history the city has to offer. Come in and speak with them to discuss new culinary trends and protein alternatives! Sharing life in love, parenting, business, and food, Jennifer and Santiago are truly a match made in heaven. These two professionally trained chefs bring their collective portions of passion to their work at Napales Mexican Street Food. Tara’s Place offers homemade classic Italian dishes such as lasagna & spaghetti and meatballs, along with a variety of salads and tasty desserts made from scratch. Tara’s wonderful family sauce recipe gives patron’s a taste of old Italy! The Cooks Pantry is just the place for experienced cooks and beginners! The Cooks Pantry has the basic tools, gadgets and products necessary for every kitchen. While also facilitating your cooking experience, they carry unique items that will enhance it. 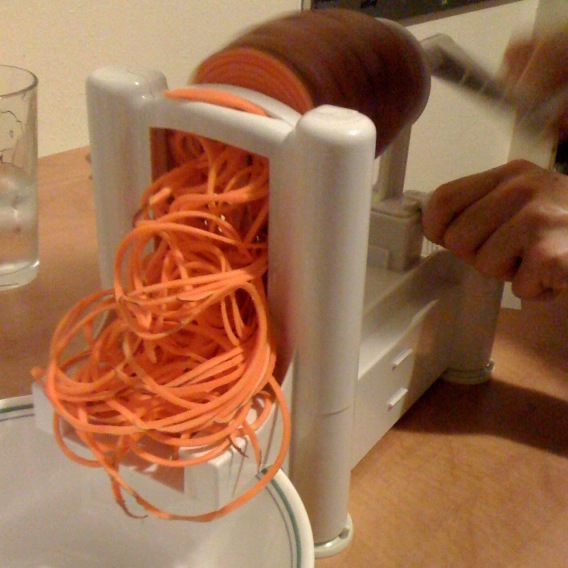 Examples include strawberry hullers, corn strippers, cheese slicers, spiralizers, space-saving products and microwaveable, BPA free products. Products “made in the USA” are very important to us and these are a highlight along with those made by local artisans! Come by and share your recipes! We carry products from companies including Aura Cacia, All Terrain, Avalon Organics, Baker Creek, BioBag, Ball Canning Jars, Charlie’s Soap, ChicoBag, Dr. Bronner’s, Ecover, EO, Grandpa’s Soaps, Handy Pantry Sprouting supplies, Kiss My Face, Nellie’s, Nature’s Gate, Preserve, Seventh Generation, Green Virgin Soap Nuts, New England Cheesemaking Supply and more, including locally made products. Dayton Urban Green, your one-stop sustainable living shop in the city, offers eco-friendly products for every-day living, including green cleaning products and personal care products plus Urban Homesteading supplies for food preservation, cheese-making, soap-making and more! Follow us on Facebook. Friends of the Humane Society, a fundraising organization for the Humane Society of Greater Dayton, features homemade pet treats, pet tags and clothing. We also display the adoptable pet of the week. Includes vases, bowls, goblets, mugs and functional kitchen and dinnerware. Jon is fulfilling a lifelong dream by devoting his full-time energies to his craft. His richly mellow work reflects his soul and personality. Approachable and friendly, he derives a strong satisfaction from working with a customer to create a piece that will be valued and appreciated for years to come. Jon Graham began throwing pottery as a youth in 1958. He earned bachelor’s and master’s degrees in Art Education from the University of Wisconsin and Boston University, and has been greatly influenced by various apprenticeships with renowned artisans from all over the world. I capture a vintage-industrial-chic aesthetic in the handmade jewelry, gifts and home accessories I create. Common elements that I use include religious medallions and rosaries, vintage watch parts, vintage costume jewelry, and skeleton keys, vintage linens, doilies, embroidery and fabrics. I love working with multimedia supplies; so my selection varies from hand-sewn aprons, scarves, headbands and bags to jewelry, notecards, pillows and holiday-inspired gifts. Visit my website for more information and follow my work on Facebook and Twitter. A nonprofit organization that operates under the Unitarian Fellowship for World Peace. Uses the creative arts to enhance the awareness of the need for peace. Missy’s Wooden Roses sells wooden roses, lucky bamboo, mousepads, keyholders, massage oil candles, and wall adhesive pictures, specialty plates and badges. Monco‘s mission is to empower the people we serve to meet their individual goals and aspirations with meaningful employment. This mission is accomplished by meeting the workforce needs of employers in the community and by providing quality products and services. We sell jewelry, notecards, original pieces of art, artisan items, and Pets & People dog bones. All items made by Montgomery County residents with disabilities. We support people with developmental disabilities to LIVE, WORK and SERVE in our community. New World Alpaca Textiles are livestock farmers in Brookville, OH, and produce superfine finished apparel in the Miami Valley. We focus on “Farm to Fine Fashion” apparel and supplies for the ever-growing fiber artist legions in the Dayton area. Maryann owns well accomplished breeding stock and keeps a fully stocked farm store. We consign hand-made items from artisans in our Valley and plan to teach everyone in the Valley needle art. We sell alpaca fleece, fiber art supplies including roving for hand spinning, hand-spun yarns, hand-dyed yarns, natural yarns, drop spindles, knitting and crochet needles and patterns, weaving products, as well as luxurious finished products. Our specialties are SOCKS, fashion scarves and wonderful artisan rugs and home décor. Follow us on Facebook! Modern Terrarium designs created by local mother/daughter team Paula and Alleah. Terrarium artists Alleah Cooks and Paula Willis are the creative spirits that are Now and Zen Terrariums. Each terrarium is thoughtfully designed using air plants and unique glass or wood vessels. Accents of moss, sand, shells, stones and other natural elements are then included to enhance the terrarium design. Every terrarium is unique and will add a sense of tranquility and beauty to any space. Now and Zen Terrariums are a perfect choice as a one-of-a-kind gift, wedding/party favor or home/office décor. Fresh ingredients, fresh pet food. 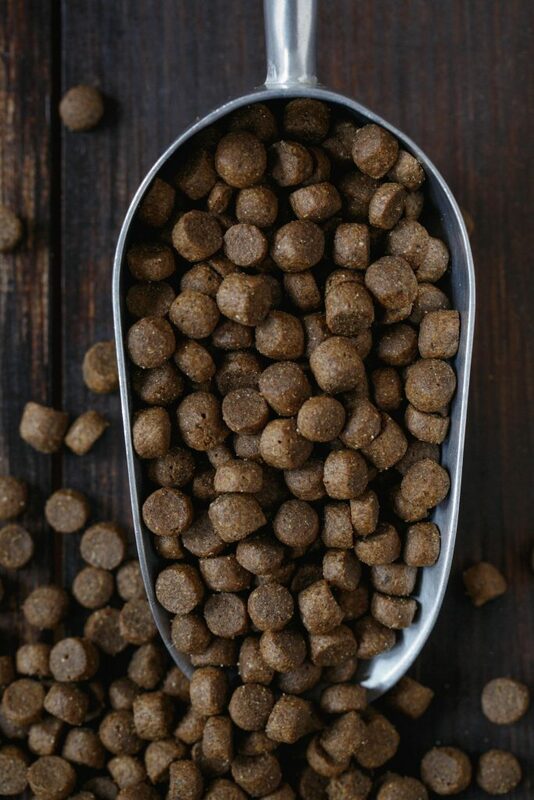 Pet Wants Dayton slow-cooked, small batch, all-natural pet food is packed with nutrition and we know your pet will love every bite. The pet food is made fresh every single month, so you’ll know it hasn’t been sitting on a shelf losing the important nutrients your pet needs to live a happy and healthy life. All items are proudly handcrafted by Bob Pinter. 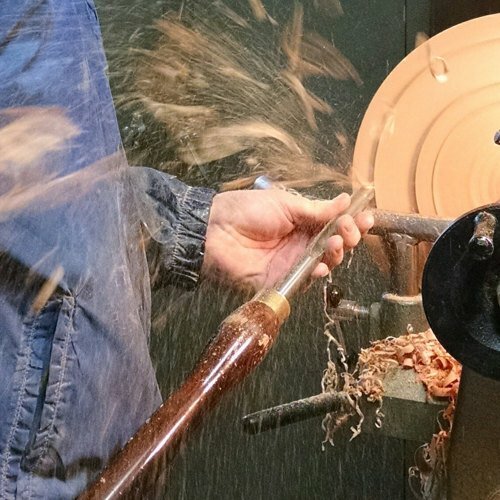 Artisan woodturner offering handcrafted heirloom-quality goods made from local reclaimed wood. Learn more on Instagram and Facebook. The Flower Man promises to always provide you with the freshest flowers and a friendly Flowerman smile! Remember: “Bigger Dreams, Smaller Prices.” Whether you need flowers for a wedding, special occasion or just because…the goal of The Flowerman is to provide the customer with the highest quality flowers at the most reasonable prices. The high quality customer service you receive at The Flowerman is unmatched, anywhere! The Flowerman dates back 32 years, when Steve Smith began selling gladiolas from the back of his truck at local farmer’s markets. Since then, The Flowerman has become a symbol of quality and superb value for the freshest flowers! Meet Tim and Sylvia, the couple behind Tim’s Gifts n’ More. With Sylvia as the designer and Tim as the fabricator, these two Daytonians take teamwork to a whole new level. Tim and Sylvia most love creating handcrafted items that inspire their customers. Stop by to find personalized, handcrafted wooden items such as grandfather clocks, puzzles, miniature figurines, wedding and anniversary plaques, custom orders n’ more! Follow them on Facebook! The Gift Shop features items for gardeners and nature lovers, live plants and unique gifts. All proceeds benefit the Wegerzyn Gardens Foundation, a not-for-profit organization whose purpose is to support Wegerzyn Gardens MetroPark by conducting fundraising activities and enlarging membership. The Gift Shop was started in 2004 and is staffed by volunteers. Follow them on Facebook! One-of-a-kind art dolls and extreme prim cloth dolls. Specializing in elves and fairies. Follow us on Facebook! Willowdale Botanicals and Celluvati Botanical Skin Care are farm based businesses built by Catherine Harrison, PhD, neuroscientist -turned- holistic farmer -turned- crafter of natural products to restore and enhance your natural beauty and vitality. We make our botanical beauty, personal care, herbal and aromatherapy products on Willowdale Permaculture Farm in Lewisburg, Ohio. We make a line of beauty, and personal care products as Celluvati Botanical Skin Care, as well as additional wellness, aromatherapy, and natural fragrance products as Willowdale Botanicals. Follow us on Facebook! As part of the 2nd Street Market’s mission to inspire and nurture a healthy community, local not-for-profits and community organizations supporting this mission are invited to share information about your group, or promote a local project or related event at our Community Table, free of charge. The Market is open all year long! Stop by for lunch with coworkers during the week or check out the vendor brunch menus on Saturdays.